You know how some bands from the past are so wiped out it’s embarrassing when they do their reunion concerts at the fairgrounds or perform on those late-night cable shows? You get only one or two of the original people and they can’t really sing any more. Well, that is not the case for Marv and Rindy Ross of Quarterflash and Oregon Trail Band fame. They’re better than ever, polished like a fine gem. When my predecessor as president of Writers on the Edge scheduled them for our Nye Beach Writers Series, I didn’t know who they were. Apparently, if I had been born in Oregon, I’d know. Or maybe if I hadn’t spent the ’80s listening to country music instead of rock. Marv and Rindy got together in high school, forming a band called Seafood Mama, and they have been playing together ever since. As Quarterflash, they had a huge hit with “Harden My Heart.” They toured with Elton John, Linda Ronstadt and “other big-haired 80s acts.” They were on MTV. They were a big deal.To their fans, Marv and Rindy, now performing as a duo, are still a big deal. Saturday’s gig, which we hosted at the Newport Senior Center to have more room, drew fans from all over Oregon and beyond, and they weren’t disappointed. From the first note, I was enthralled. Their sound is huge, even with just two people. Marv has written most of their songs and is still writing. Rindy gives them voice. Her voice has the purest sound, dark and light, high and low. She plays saxophone and harmonica. There’s nothing decrepit about these two. They offer power, master, and perfection. They’re also nice people. I was the only one who signed up for the open mic after their performance. I was going to bag it, but Rindy said, “No, I’d like to hear your songs.” So I sang my songs. A couple other people read some poetry. And it was good. I handled the CDs, and people were throwing 20-dollar bills at me so fast I almost couldn’t keep up. Everyone wanted to take the music home with them. On Sunday, ten of us gathered at the senior center with Marv for a songwriting workshop. From the get-go, he sprinkled us with songwriting magic, explaining song forms, showing us how his songs and other famous songs are put together, then guiding us through the beginnings of our own songs. We couldn’t wait to start writing. Marv will be teaching a two-day workshop June 12 and 13 at the Sitka Center in Lincoln City. Check the website for details. He will also be teaching at the Fishtrap writing workshop in Eastern Oregon in July. 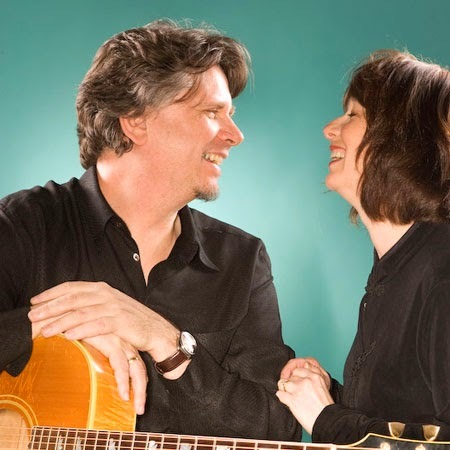 Marv and Rindy will perform an acoustic concert with Eddie Parente at the historic Elsinore Theatre in Salem on June 6 at 7:30 p.m. Visit their website, www.quarterflash.net, for details. Neither group knew the other was coming. I hope the music provided a helpful backdrop for the AA folks. The Nye Beach Writers Series returns to its usual location June 21 with Joe Wilkins, whose poetry and creative nonfiction are as good as the Rosses’ music. 7 p.m., Newport Visual Arts Center, admission $6. Joe will teach a free workshop the following day at the Newport Library. Details at http://www.writersontheedge.org.